If you want to ensure that your computer is 100% malware-free, check out the advanced eraser tool from Norton by Symantec – Norton Power Eraser. Norton Power Eraser is a free virus and malware removal tool which uses Norton Insight in-the-cloud application ratings. The Power Eraser is a portable executable that provides addition cleanup for your computer. You can run the eraser even if you already have another Symantec or any other security product, it also does not require any installation and is completely portable. Note, if you cannot start the PC in Normal mode, you will be able to run the eraser in Safe mode. Norton Power Eraser tool is only compatible with Windows computers, however, it won’t work on Macs. Keep in mind that Norton Power Eraser needs to have an access to the online Norton Insights database and it will not work without internet connection. It is worth to mention that Norton Power Eraser applies aggressive techniques to detect malicious apps. There is also a possibility that the tool will select some legitimate programs as malicious or suspicious. Keep this in mind and carefully review the scan results before removing files. 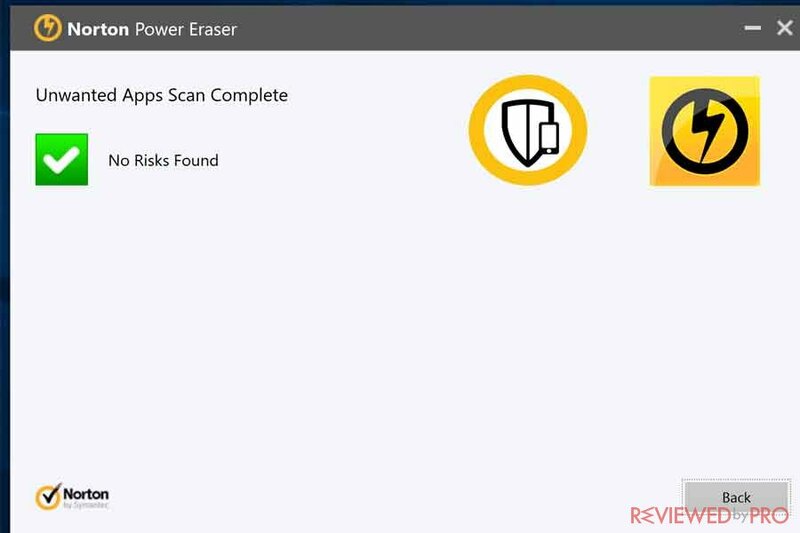 Norton Power Eraser is created to clean up persistent malware that regular virus scan might miss. The tool will also remove threats from a system infested with malicious programs and files that prevent the installation of security software. The virus and malware tool by Norton is fast and really easy to use. It is not a standalone antivirus program. However, when it was used as such it also scored pretty decent results. You can download and use it every time you think your regular security software possibly have missed something. Download the file and click Save. In order to run Norton Power Eraser, you have to double-click the exe file. If the User Account Control window pops out, you have to click Yes or Continue. Further, the license agreement will appear, read it and click Accept. If the new edition of Norton Power Eraser is available, it will be downloaded. 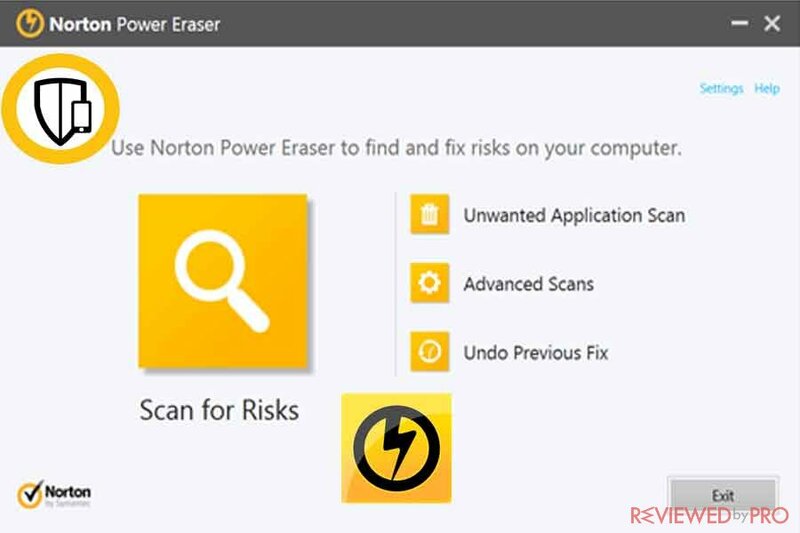 You have to open the Norton Power Eraser window and click Scan for Risk button. It is worth mentioning that by default the tool performs a Rootkit scan, so it will require you to restart the system. Click Restart on a prompt to restart the PC. You do not have to include Rootkit scan if you do not want. In order to skip it, go to Settings and uncheck the option Include Rootkit Scan. Now just wait till the scan completes. Once the scan is completed you will see the scan results. The files that Norton Power Eraser considers as threats will indicate the Bad Bad traces are marked for removal by default. If the item requires further review, it will display the status as Unknown. The following actions will depend on your situation. If Norton Power Eraser indicates No Risks Found, Norton Power Eraser did not detect any risks on your computer, then simply click OK to exit. If there are files or programs listed as Bad, it is recommended to Remove these files or programs. If the additional Cloud Scan result indicates it as Bad, then simply click the Remove check box. If the additional Cloud Scan result will note Not a Known Threat, it means that the file needs further analysis. Select the check box Create System Restore before proceeding with a fix and click Fix Now. If the system asks you to restart the computer, select Restart Now. Finally, click Done. You have successfully removed the threats! Norton Power Eraser is a simple, portable and fast malware detection and removal tool. It is completely free and you can use it every time you get suspicious! Norton by Symantec provides time-tested and trustworthy security software to customers around the world. It is one of the biggest brands in the digital industry and offers security packages not just for Windows, but also for Mac OS X, Android mobile devices, Networks and more. Norton by Symantec security software and services are well-rated by customers and security experts around the world. ^ Download and run Norton Power Eraser - Free virus and malware removal tool. Norton. ^ Norton Power Eraser. Norton. 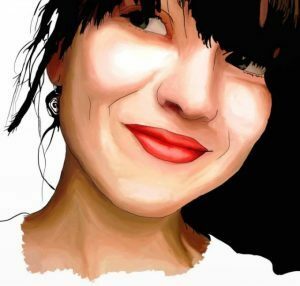 This entry was posted on 2018-01-04 at 08:31 and is filed under News.